Allium tuberosum. Sun to Partial Sun. Perennial. Height: 18”, Width: 12”. Garlic Chives, a member of the onion family, are similar to chives, except their leaves are broad and flat, instead of hollow. 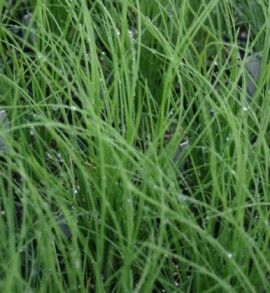 The upright, grassy stems look great tucked between other perennials in the garden. You can also cook with the clusters of white flowers that appear in late summer or fall. 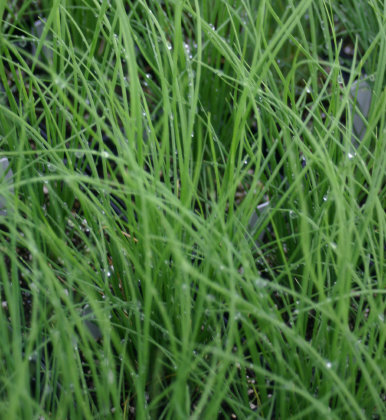 Garlic Chives are one of the easiest plants to grow because it requires little maintenance. You can plant it in a container or in your garden. It acts as an insect repellant. It can grow in full sun or partial shade in any kind of soil. It will produce striking white flowers in the summer. This plant can be cut back to the ground and it will rapidly grow back. Garlic Chives are a perennial that multiplies so you can dig it up and separate the clumps for new plants. It will go dormant during the winter months. Garlic Chives has a large flat leaf that is primarily used in asian cuisine. You can use the entire plant with the exception of the roots. The plant produces a strong garlic and chive flavor that can be used as a substitute for garlic. It will add color and flavor to any dish but is best in soups, pasta salads, stuffings, italian sauces, and meat dishes. Add it during the cooking process or chop it and use it like a seasoning at the table.